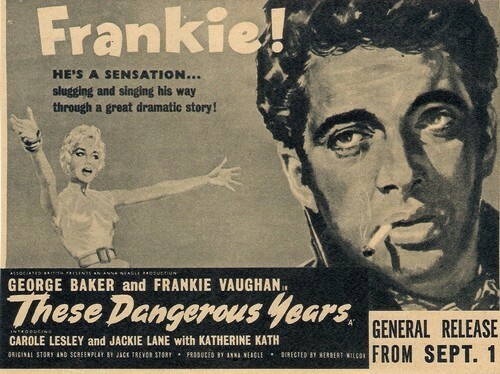 These Dangerous Years was released in september of 1957 in Great Britain. 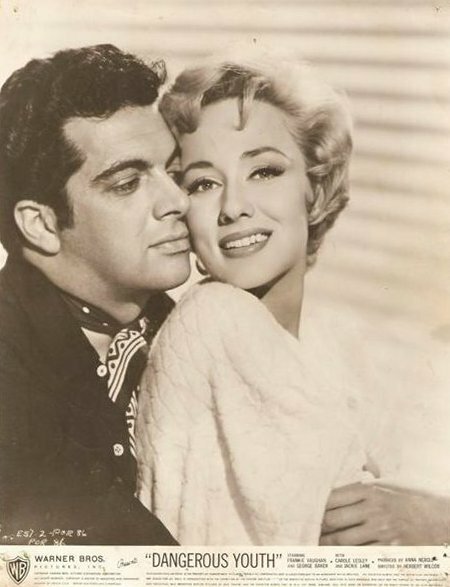 It starred Frankie Vaughan and George Baker. 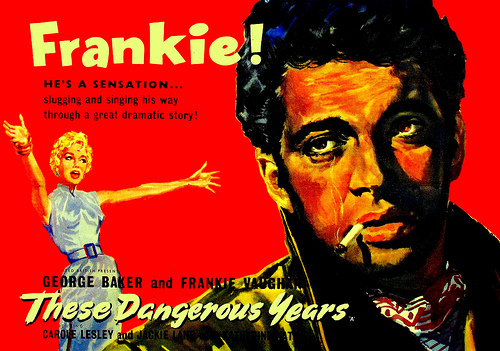 On the British and Australian movieposters Frankie (“Frankie!”) Vaughan received major topbilling since he was the main attraction in those days. When Warner Bros. released the movie in the USA in 1958, they took a drastic different approach in presenting the movie. 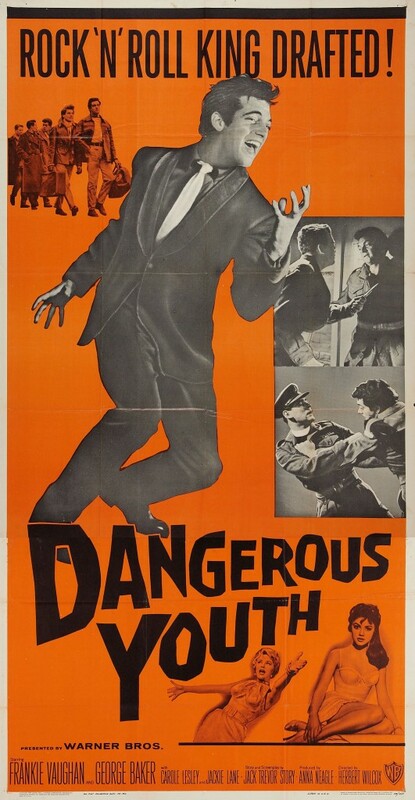 The title was changed to Dangerous Youth, but the posterart underwent an even bigger change. 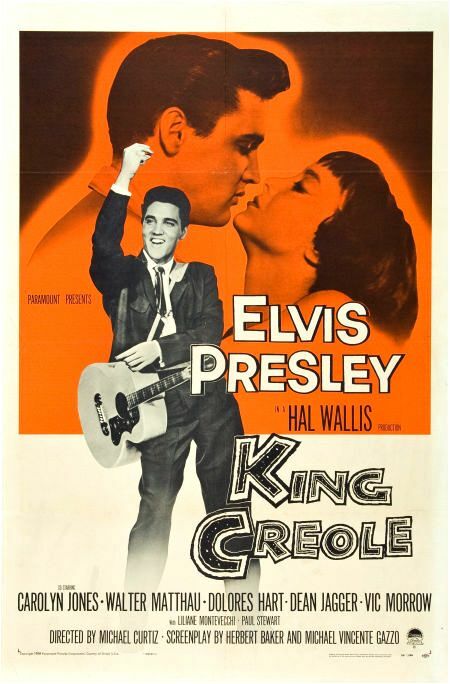 The powers in charge at Warner must have thought it wise to make use of what was happening to the most famous entertainer at that time: Elvis Prelsey was about to become a soldier. “ROCK ‘N’ ROLL KING DRAFTED!” and “What Happens When The Army Gets Its Hands On The King Of Rock ‘n’ Roll!”. 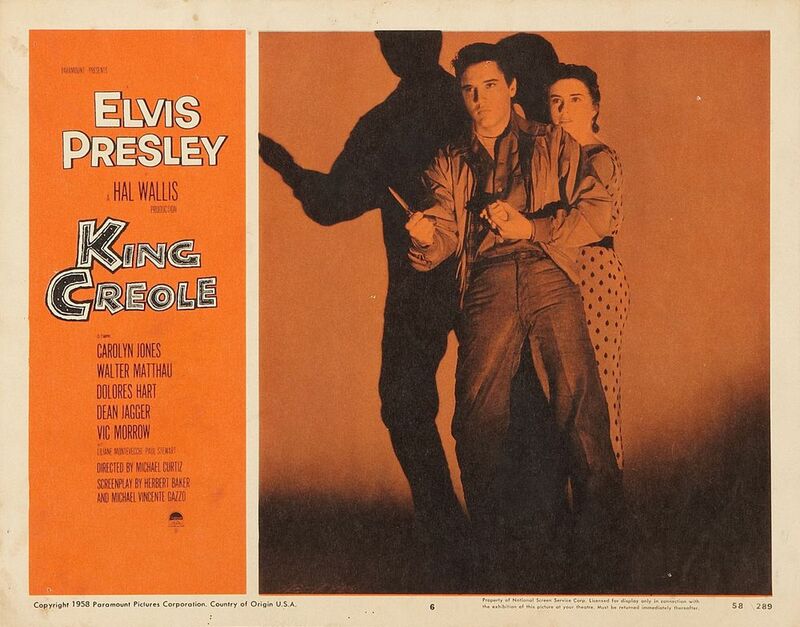 Next to that, they also ‘borrowed’ the colors from the artwork of Elvis’ farewell movie. 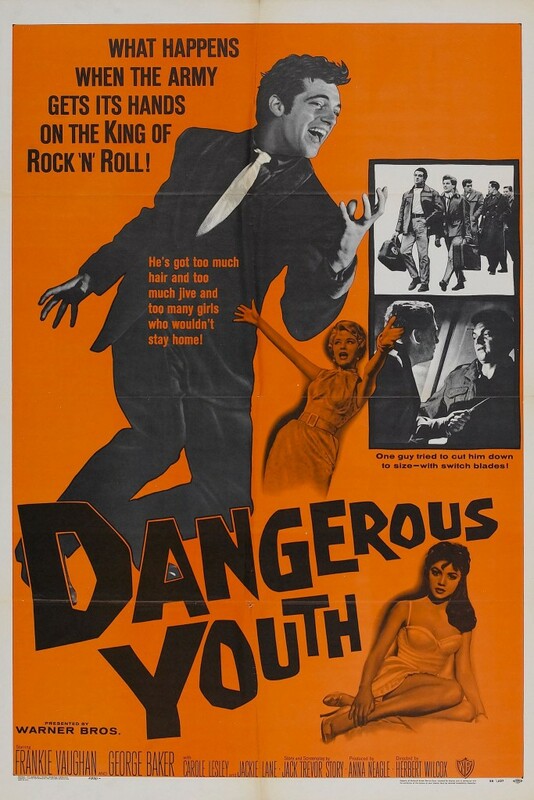 And since the month of release for King Creole was july, the clever PR-men at Warners released Dangerous Youth just a few weeks prior to that. 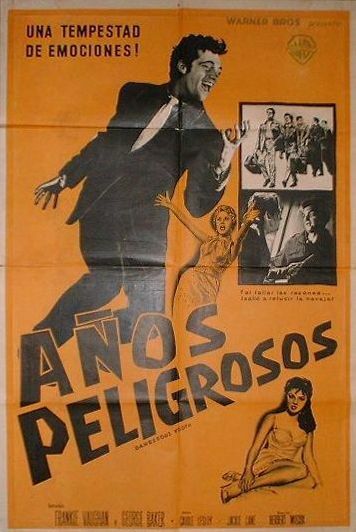 To the right the original movieposter from Argentina. It resembles the US 1-sheet to a tee, however there is no mention of any king being drafted into any army. Imitation: the sincerest form of flattery? “The Hottest Trouble-Maker The Army Ever Tried To Tame!”…? Nah! That honory title surely goes to the great Sgt. Bilko! the films, they all drown in Orange & Lemmon juice colors!? Rare find, Bob. Never heard of this title before.